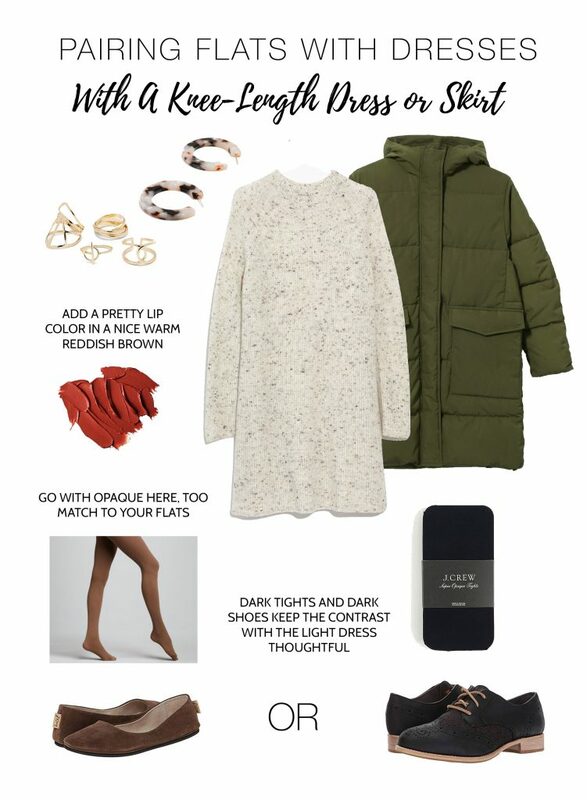 Reader A wrote in recently asking about styling flats (more comfy) for work in the winter (harder to pull off than in summer). 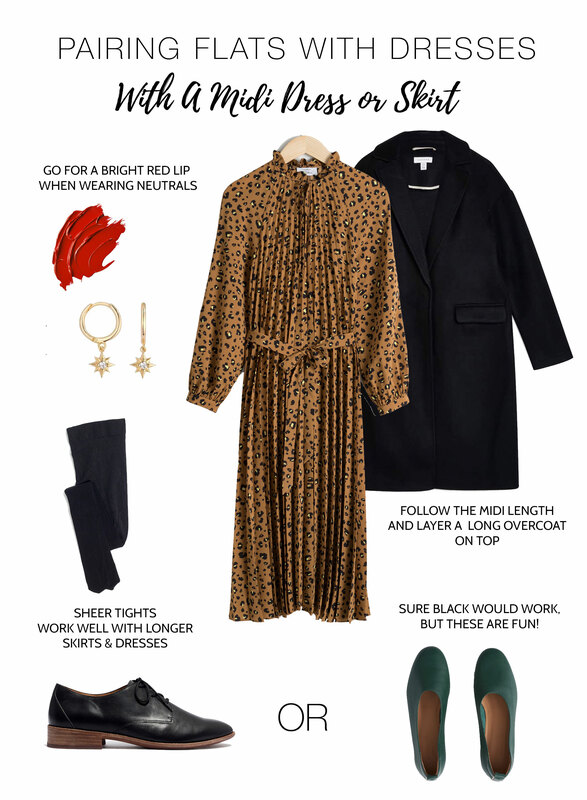 I do love a good challenge, so with a little help from my friends (aka the TME crew), I set off to find some fun combos for styling tights and flat shoes with dresses for the office. I even got a little crazy and threw in some lipstick pairings. I know…haha…Look out! We all agreed that, currently, we prefer sheer tights with longer dresses and skirts, and more opaque tights with shorter dresses and skirts for work. Tights, of course, add a nice layer of warmth right now, but I’ll admit they’re a little tricky to style. Throw some flat shoes in and yeah, even trickier. But, have no fear. I think there are some fun combos that work here. Let’s check out the pairings, shall we? 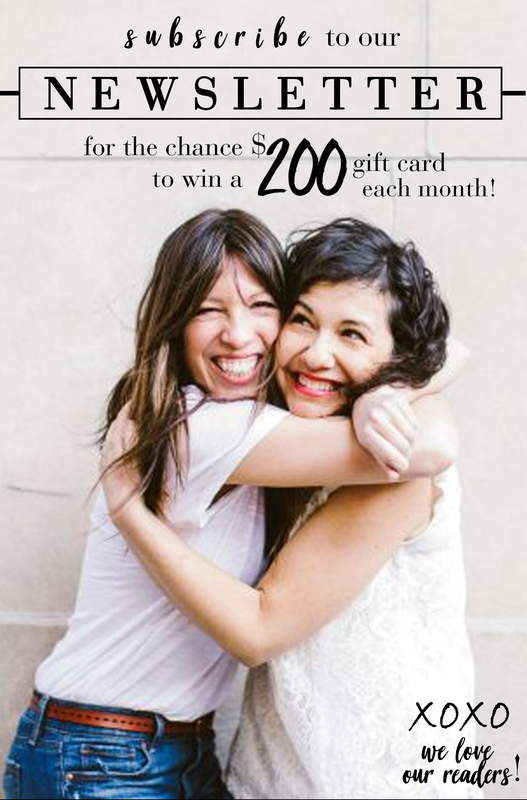 Dress – & Other Stories is a new favorite shop for me. I want to try all the things. This adorable dress comes in quite a few different shades and prints. I love it. They’ve layered it over a turtleneck on the website to warm it up even more. Black oxfords – We’re counting oxfords as flats here for some variety. I love love a dress with an oxford. So classic. Green flats -The Everlane Day Glove flat is intriguing to me. I’m not much of a flats wearer, but Shana loves these, and the fact that they come up on your foot more. True-to-size and they stretch to fit your foot, reviews say. Dark green and leopard will always be a favorite combo of mine. The darker shade still works with the black tights here. Tights – Again, we’re thinking sheer tights with longer, below-the-knee dresses and skirts works well. Lip color – You need a bright pop of red with this more conservative look. Yes. This is Mac Retro Matte Liquid lip color in shade Feels So Grand. Coat – A black overcoat just works with everything. I like the long and longer lengths going on with the coat and the dress. It matches the lines of the dress but still lets some of the fab print show. Dress – For a classic dress, you can’t go wrong with Boden. I love the shape of this very versatile dress. I’m thinking a classic trench coat would be just right with this ensemble. 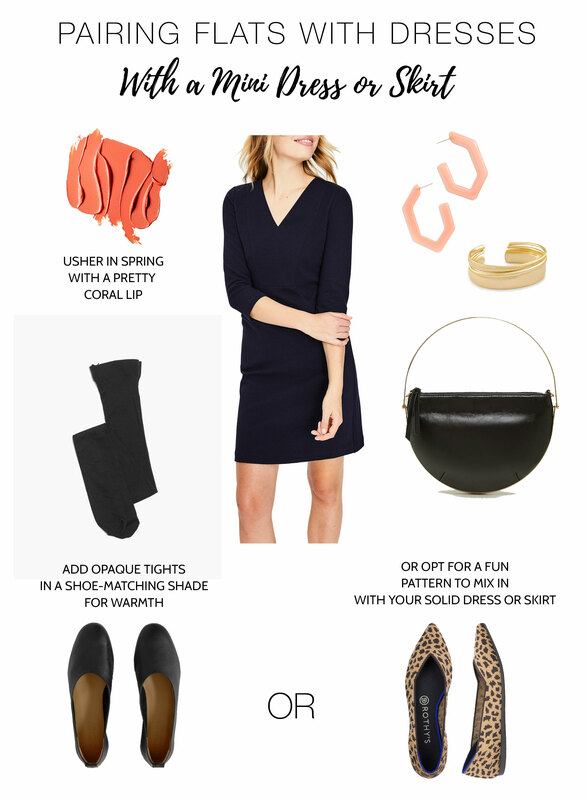 Black flats – These are the Everlane Day Glove flats again that Shana loves and I’m intrigued to try! Leopard flats – So many people swear by Rothy’s flats. These are my pick! Lip color – Mac Satin lip color in shade Sushi Kiss, which sounds disgusting, but looks beautiful. Bag – Loving Mango bags since Cam’s post, and this one is totes adorable (you see what I did there…sorry). Sweater Dress – So cute, cozy and warm. I love the heathered yarn. Chocolate flats – These are such a well-reviewed flat, and this warm color goes well with the dress. Match your tights for an intentional look. Suede oxfords – Love the softer look of a black suede with this dress. Lip color – In shade Chili. Earrings – I love the tortoise resin jewelry trend. It works so well with these tweedy sweaters. Rings – Stacking rings are a pretty way to add some shine. 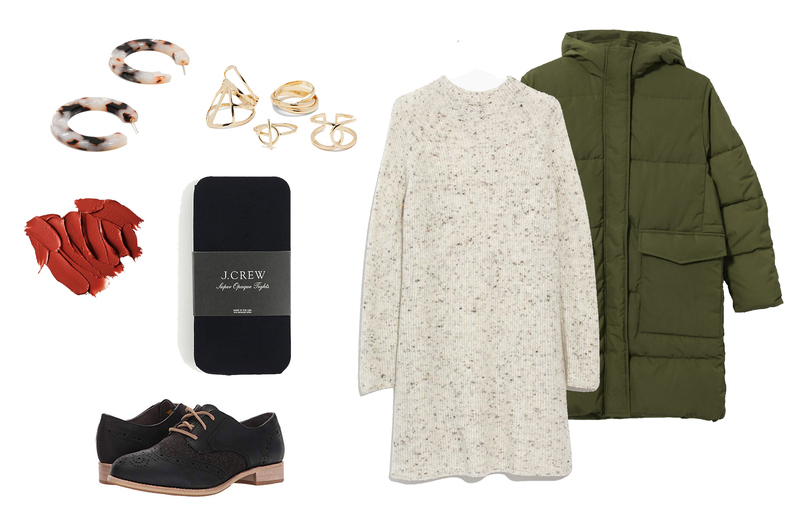 Coat – Olive green adds a pretty bit of color to this look. Have you found a mix like this that has been working for you this winter? 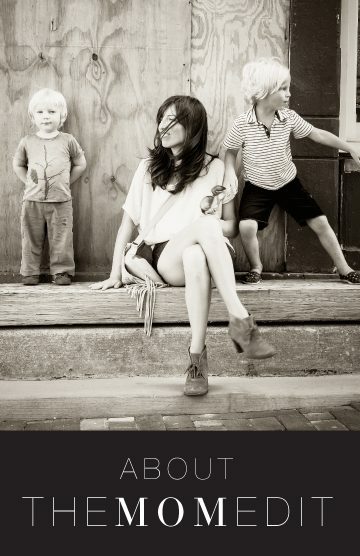 I’m not typically a flats girl, but those Everlane shoes having me thinking maybe I should be! Stay cozy, y’all. Hop on over to follow me on Instagram @laurajansenstyle to see more of what I’m up to in Portland, Oregon.And don’t forget about LikeToKnow.It for easy peasy shopping of the looks I’m loving! Yes, agreed! I’m a boots girl, too! Some of these flats are making me want to try them…but probably for Spring/Summer. What color tights do you wear with navy dresses? The Boden dress above is navy and it’s paired with black tights. Is that the best way to go? I love navy with black. I know not everyone does, but I think it works great! I’d keep tights the color of either your shoes or the dress. I tend to prefer tights the color of shoes for a leg lengthening look.